User can migrate all Outlook data items of any size into Office 365 account with same structure and without any data loss. User just need to enter the Office 365 user account credentials. 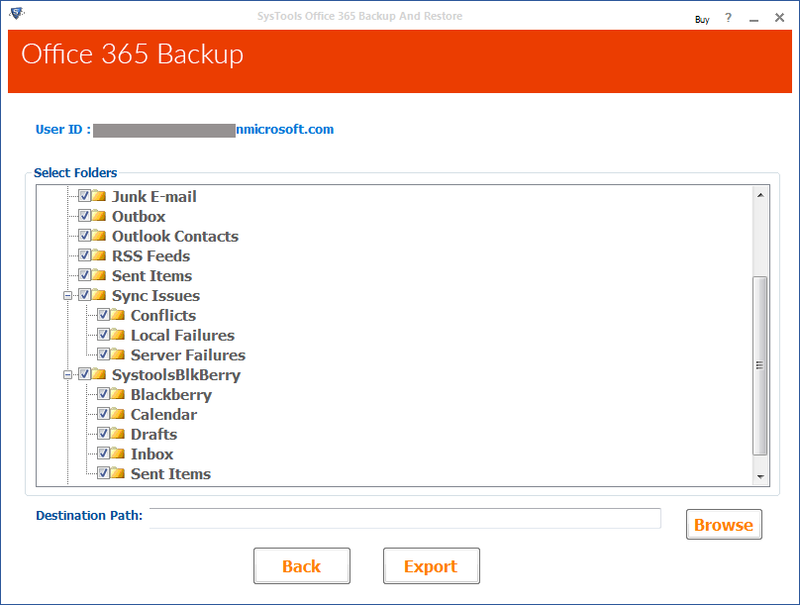 It allows users to restore only those items from Outlook PST file to Office 365 that they want. User has option to restore data into any previous timestamp according the applied setting and then migrate data from that time of Outlook to O365. Office 365 Migration tool maintains the same folder structure and hierarchy of related items same as it was in Outlook. It leads to no confusion in data access by user in O365 user account. This tool keeps the data item properties unchanged as it was in Outlook. Item properties are like: Email Signatures, Sender Name, Receiver Name, Sending Time, Receiving Time, etc., that are sustained during migration. User can migrate Outlook to Office 365 by transferring its items stored within a PST file of unlimited size into O365 account with integrity and retention. 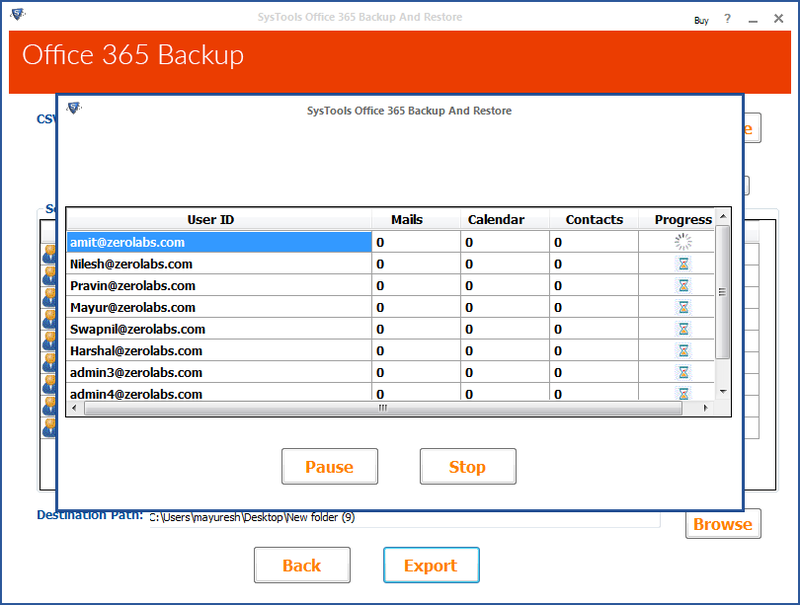 This feature is good for an Administrator of an organization who can use this tool to migrate multiple PST files to multiple O365 user accounts respectively. This tool generates a complete report of all processes & number of restored emails and other items during the migration. The report can help users analyze the restored data in Office 365. This tool allows users to select items, which they want to migrate. User can apply filtration according to date by specifying a range of date and selecting items to restore data from Outlook PST to Office 365 User Account. What is Outlook PST & Office 365? Outlook PST is a Personal Storage Table, which used to Store Outlook data items (Emails, Calendars, Contacts and Tasks etc.) as a complete package in a file with .pst extension. This file is generated by default when a user access MS Outlook email client. Office 365 is an online platform to provide multiple facilities to its users. It has been developed mainly for corporate users. Users just need to pay for applications that they want to use for a specific period. User doesn't have to care about anything else than accessing the services. Why User Needs to Migrate Outlook to Office 365? I am very satisfied with this tool because of its multiple options, which let me migrate only selected items according to date specification. So I migrated all items one by one to Office 365. Hey, I am mark from California. Why should I use this tool for migration instead of Office 365 Import Service? Hi Mark, I know that Office 365 Import Service works well but it imports all items from Outlook to O365. In comparison with import service, our tool provides multiple options before migration, you can select any Outlook items that you wish to migrate into Office 365. For Example: You have 5 GB of PST file and you don't want to migrate all Outlook items to O365 then you can select only those items which you want to import using this tool. Can I migrate multiple PST files to multiple Office 365 user account? Yes, you can migrate. You just have to enter the credentials one by one with respect to PST file. Hi, I have a large PST file size of 6 GB and I want to import all items to O365 but do not want to migrate items older than year 2014. Can I migrate Outlook to Office 365 according to year? Yes, you can apply filtration according to date and time for migration of Outlook items. Hey, I am a Mac user will this tool migrate Outlook OLM file items to Office 365 account too? No, this tool is not compatible with Mac, which is why this tool can't migrate OLM file items. 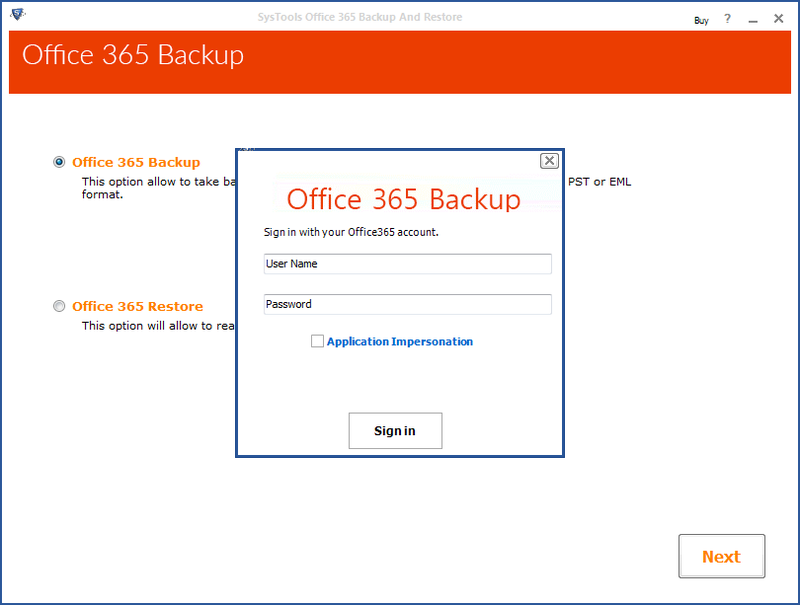 I am a network admin at an organization and was thinking to migrate some employees' Outlook account to Office 365. However, I was looking for a tool, which could help me migrate only selective items like emails to Office 365 Account. Then I found this tool over internet and it helped me to accomplish my task very well. 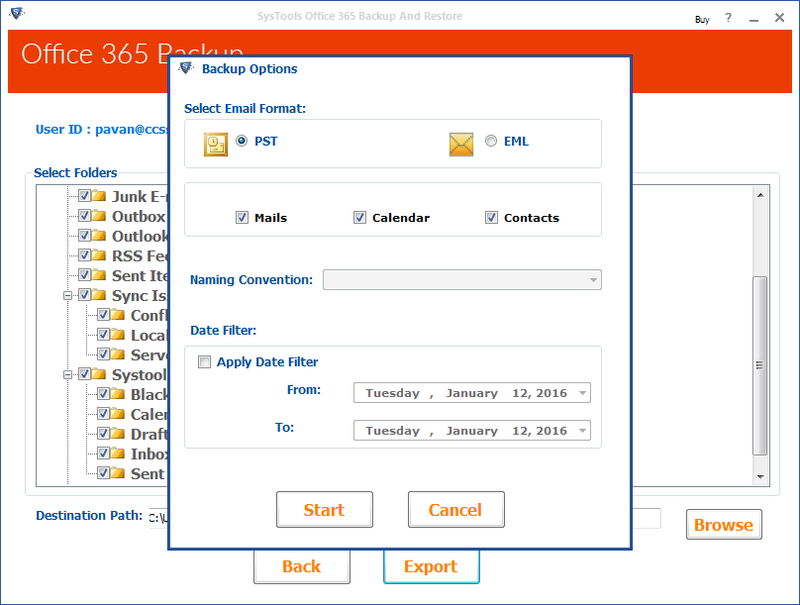 This tool works great to migrate Outlook to office 365. I had not thought that the migration process would be this easy to do. Outlook PST and O365 are completely different platforms. Anyway thanks Office 365 Migration tool for helping me out with the migration.